Bluesound Node review | What Hi-Fi? If anyone (including us) thought the five-star amplified Powernode streamer from new-kid-on-the-block Bluesound was a fluke when we reviewed it last September, they (and we) couldn’t have been more wrong. In less than a year, Bluesound’s high-resolution ‘ecosystem’ has taken the streaming sphere by storm, making formidable inroads into the multi-room market at the same time. The Node sits at the entry-level end of the family and follows suit in the looks department, with a glossy-cubed design in place of something more traditional. Like all of the Bluesound range, it doesn’t have to be used in a multi-room capacity; you can use this purely to bring streaming functionality to an existing hi-fi set-up, should you wish. Of course a lot of its charm is in its multi-room capabilities, so it’s nice to have that option available should you wish to take advantage of it at a later date. Specification-wise, it’s kept relatively simple. It’ll hook up to your amp via its analogue outs, or there’s a single optical out instead, with a USB port for connecting USB keys, or an optional Bluetooth dongle for adding more functionality. It’s capable of playing uncompressed FLAC and WAV files up to 24-bit/192kHz, as well as other popular audio formats such as MP3, AIFF, AAC and WMA. There’s also the option for streaming directly from a number of services including Spotify, Rdio, Deezer, Qobuz, Tidal, HDtracks, Slacker Radio and TuneIn Radio. The Bluesound app lies at the heart of the Bluesound experience. Download it for iOS or Android and, once the Node is connected to the same home network as your device, it will discover music stored both on your home network and locally, indexing it within the app for easy playback. If you have bought the Node as part of a multi-room system, you’ll be able to see all your units in a dedicated tab, allowing you to group them together, and control what music is playing where, easily. There’s also the option to create and save playlists from across multiple sources, which is a nice touch. Best of all this though, is the way the Node sounds. It’s a rich and full-bodied character, which is well balanced and full of enthusiasm. Bass response is full and punchy, with a detailed, focused midrange and a controlled treble. A play through of Fleetwood Mac’s The Chain demonstrates all of this, with the intro subtle and precise, the bass drum kicking solidly underneath the textured guitar solo. Rhythmically, it doesn’t put a foot wrong either, stopping and starting where it should on queue, with the strong vocal harmonies sounding layered and expressive. This is the case no matter what resolution music you throw at it. High-res content offers understandably more transparency and detail, but the Node’s fun, entertaining way with music doesn’t change when you drop down to a 320kbps stream from Spotify, for example. We listen to SBTRKT’s New Dorp. New York, and the Node keeps great time with its pulsing bassline; even as the various layers of the song are added in, it never stumbles or sounds confused. There’s plenty of opportunities for the Node to show off any sign of harshness with some of the electronic notes that trill around the middle of the song, but it is composed at all times, showing its forgiving nature with lower-res recordings. 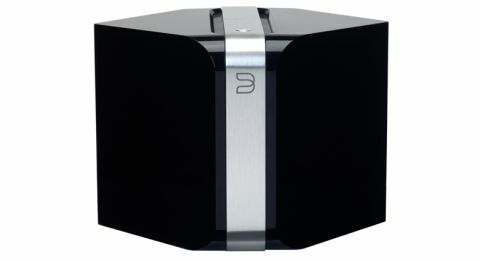 It’s hard not to be entertained by the Bluesound Node. Bringing streaming capabilities to an existing set-up in an endlessly entertaining and musical way, this is a superb way to update your system and at a really good price to boot.